THE EFFECT: The magician takes out a regular deck of cards and shows the backs and faces of the cards to satisfy the spectator that they are normal. 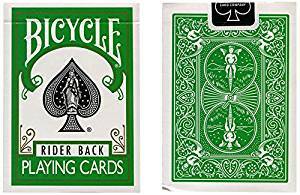 You then fan through the cards face up and the spectator touches one of them, or you can just ask the spectator to name any card, IT IS A COMPLETELY FREE CHOICE! You then place the selected card face up on to the table and spread the rest of the deck face down on the table. The selected card is then turned over and has a different coloured back to the rest of the deck!!! Just read that again for how completely amazing this effect is! The spectator can name or choose ANY card and it is the ONLY card with a different coloured back! No rough and smooth, no short and long. The pack can even be handed out for examination at the end and used to do other tricks. 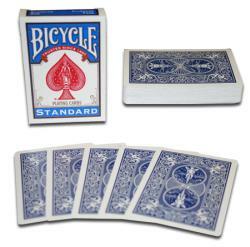 ONE OF THE MOST AMAZING CARD TRICKS EVER!!! We use an actual picture of the product but it might be represented as an illustration or an effect. Please ask us for details. Currently in stock and will be dispatched within 24 hours.